Myanmar or Burma as it was known until 1988 is one of the least accessible countries in the world. The country has been untouched by modern life and retains an aura of a bygone age. 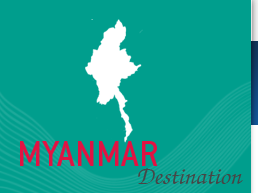 A tailor made tour to Myanmar offers great natural beauty, magnificent archaeological sites and warm hospitable people. Visit waterfalls, lakes, beaches and experience different ethnic cultures in addition to seeing thousand year old golden pagodas scattered around. When on a Myanmar tour, Xplore-Asia avoids government run agencies and tries to use and help the local Burmese people who are incredibly hospitable and welcoming. With the infrastructure slowly developing a Myanmar tour will be a great experience never to be forgotten.